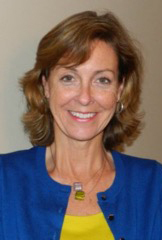 Dr. Mary T. Stimming joins the Wabash Center with over 20 years experience in education. She served as an Assistant Professor of Theology at Dominican University (IL) for the majority of this time. She is an award winning author and public speaker who believes that “the true value of education is realized when it is conveyed in a manner that inspires.” She earned her Masters and Doctorate of Theology at the University of Chicago following undergraduate studies at Georgetown University. Mary is an active volunteer in her community and served as Vice-President of the Board of Education in Riverside School District 96. She is the mother of four children. Dr. Stimming will be responsible for developing the Wabash Center programing associated with the “Preparing Future Faculty” supplemental grant from Lilly Endowment. This project will include: gathering doctoral working groups, grants to doctoral institutions, and regional doctoral student gatherings.